Our Adoption Center is a temporary home for many rescued dogs, puppies, cats and kittens. These animals come from several non-profit out of state rescues and two local rescues. Many of the pets in the Adoption Center were rescued from a gassing shelter or an abusive situation, hazardous environment, were unplanned or were just not wanted anymore. Many of our pets find home quickly, so call us first at (610) 970-7500 to make sure the pet you want is still available for adoption. Scroll down to see our dogs and cats for adoption. Adoption fees include: Vaccines, de-worming, topical flea control, heart worm testing and monthly prevention, micro chipping, medical care while they are here and spaying/neutering or a $75.00 Spay Neuter Refund Certificate. Out-of-state rescues also include a transport fee of $75-$100 and fees for the legal paperwork to transport pup into our state. We are often asked, why the rescue would charge $500 for a rescue pet? Why not just place it in a good home for free? The answer is because they need adopters who are willing to support all rescue pets, not just the highly adoptable dog they adopt. A young, healthy highly adoptable dog might cost the rescue $200-$300 in veterinary care, transport, health certificate and boarding. An older dog or one with health issues can easily cost the rescue $500-$2,000 in veterinary expenses alone, and may require months of boarding. The rescue can only ask a minimal adoption fee for these dogs and it may be a very long time until anyone comes forward to adopt it. The adoption fees from the younger, more adoptable dogs help offset the cost of caring for the others. Many of the dogs we take in have suffered through years of neglect or abuse. The rescue does not turn these dogs away. We hope that you too are willing to give an opportunity for a better life to ALL of the rescue dogs by supporting them through adoption fees. Adoption fees generally range from $100 up to $575 in some cases less or more. Every dog and cat leaving Diane's Adoption Center MUST be spayed or neutered by 6 months of age. The only way to reduce the number of animals being put to sleep in shelters is to stop unwanted pets from being born in the first place. 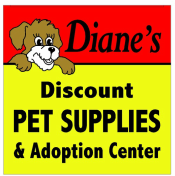 We recommend the Affordable Spay Neuter Clinic, which is on-premise at Diane's. Ready to adopt? Try this pet matching system to help find the right breed for you. Also, read up on tips to welcome a newly adopted pet into your home and see other articles with helpful advice on being a responsible pet owner. Download a free copy of The Puppy Manual from Adopt-a-Pet.com. Forever Home Rescue has many kittens and cats for adoption at the Diane's Adoption Center.